Although this recipe involves using a food processor and hand mixer, these cupcakes are easy to make and you can whip them up in an hour (including cooking time). 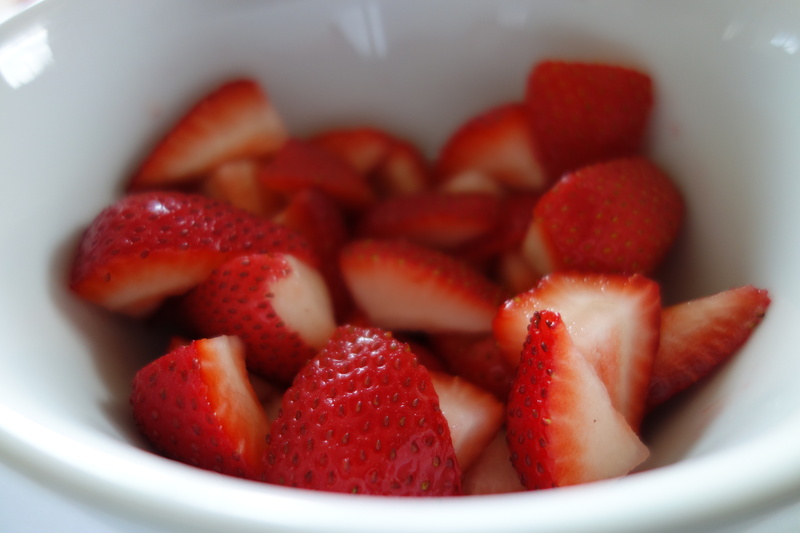 Start out by cutting your strawberries into quarters or halves to prepare them to go in the food processor. We like to use organic strawberries, especially if we can support local farmers by buying them from our local farmer’s market. Purée the strawberries in a food processor. If you don’t have one, you could also try putting them in a blender or hand mashing the strawberries. 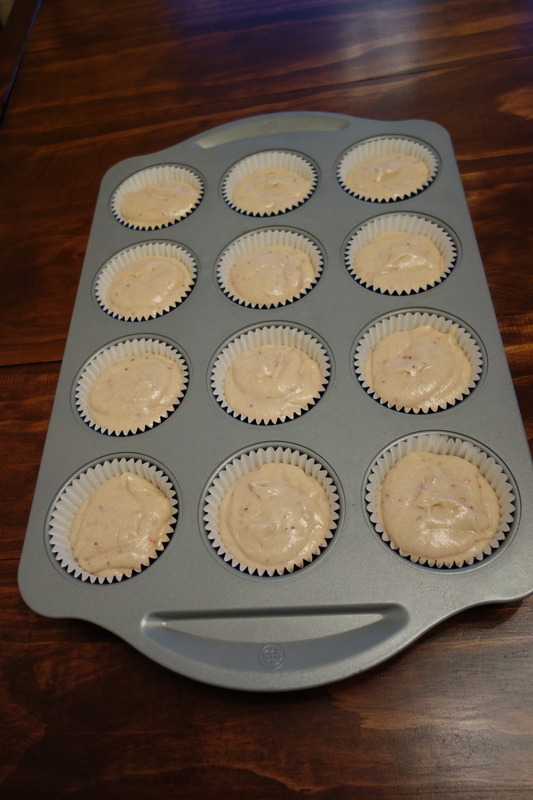 The idea is to have the strawberries as smooth as possible for the cupcakes. Transfer the puréed strawberries to a bowl and mix with the milk. In a small bowl, mix the flour, baking powder, and salt. Cream the butter and sugar with a hand or electric mixer. Add the egg and egg whites one at a time, mixing after each addition. Slowly add the vanilla. Alternate adding the strawberry purée and flour mixture. 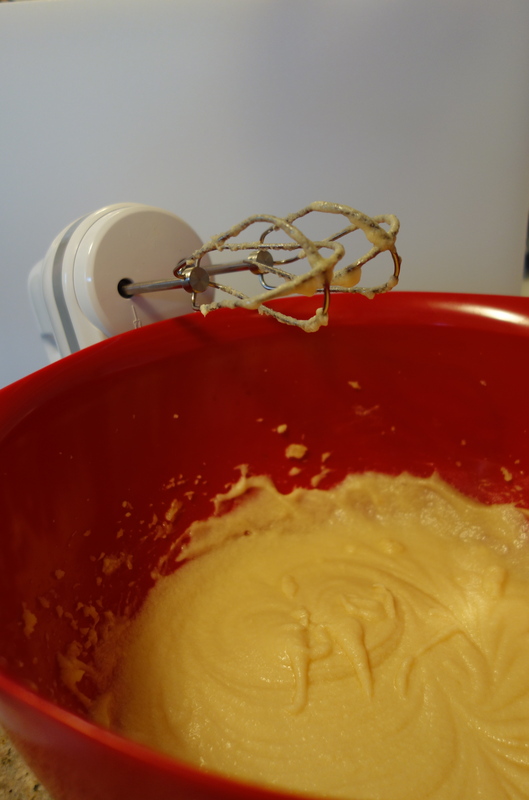 You’ll end up with the delicious batter for your cupcakes. Line a cupcake tin with cupcake liners. Fill the liners about 3/4 full with batter. Bake the cupcakes for around 20 minutes at 350 degrees. Keep an eye on them depending on how your oven cooks. While the cupcakes are baking, make the frosting. Cream the butter and powdered sugar in a bowl with a hand mixer or wire whisk. Add the vanilla, then add the champagne. Pour a little champagne in a glass for yourself. You don’t want to be wasteful. 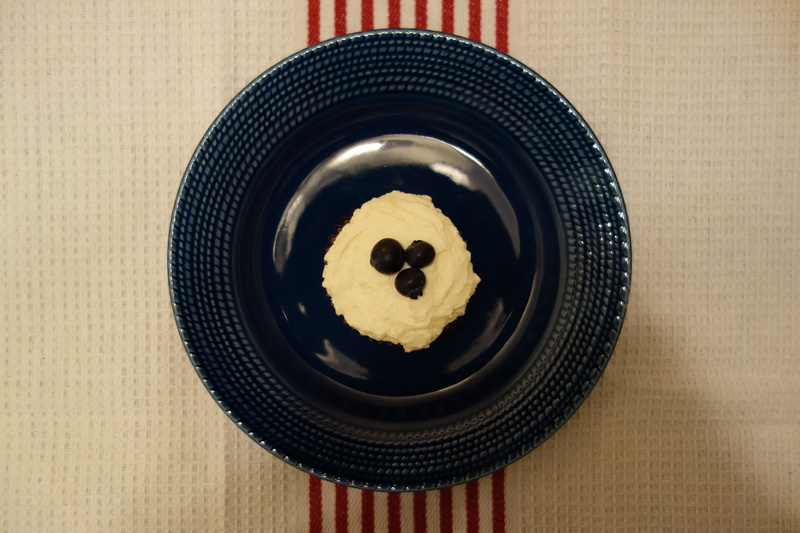 Put in some blueberries, too, because you’re classy. You can substitute prosecco for the champagne in the frosting. Of course, if you don’t like either or want the icing to be alcohol-free, feel free to leave out the champagne. We promise, though, the champagne frosting is so good. We don’t have pictures of this step because it takes about two minutes to make frosting. Let the cupcakes cool completely before you frost them. It will be difficult to wait, but if you don’t your frosting is going to melt when you put it on the cupcakes and then you’ll be sad. 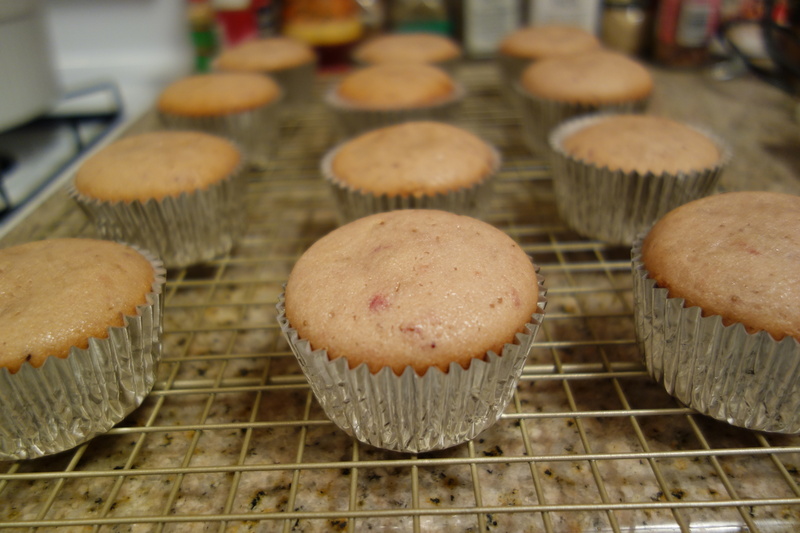 Once your cupcakes cool, it’s time to frost them! Put as much or as little on as you want. You can pipe the frosting and make it look pretty or go for the “this looks messy because I’m not trying too hard except this actually took me a long time” look and use a knife or spoon to spread the frosting. Top the cupcakes with a few blueberries and you’re done! We hope you like these as much as we do! Purée strawberries in food processor. Transfer puréed strawberries to small bowl and mix with milk. Set aside. Mix dry ingredients in small bowl. Set aside. Cream the butter and sugar with mixer. Add the egg and egg whites one at a time, mixing after each addition. Add strawberry purée and flour mixture, alternating and mixing after each addition. Do not overmix. Line cupcake tin with cupcake liners. Cook cupcakes for 20 minutes. 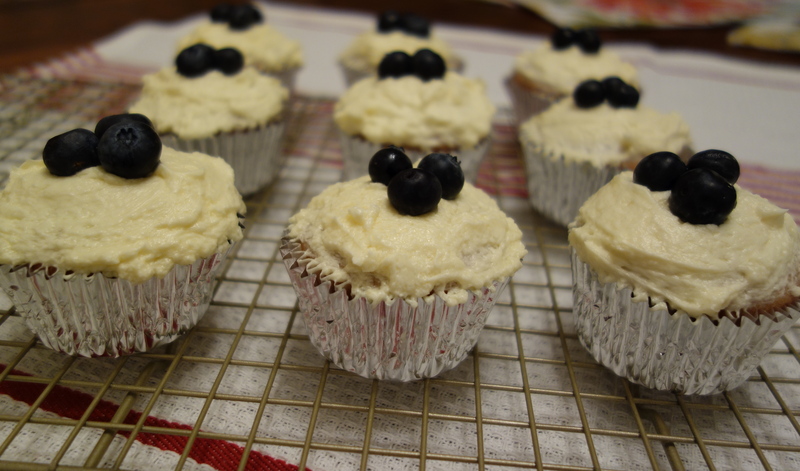 Frost cupcakes and top with a few blueberries. Cream butter and powdered sugar in medium bowl until light and fluffy. Pour in champagne one tablespoon at a time, mixing after each addition. This recipe was absolutely delicious! I love the flavor combinations. Love the recipe. It sounds delicious.